Flextronics Foundation recently donated $10,000 dollars in support of the core component of RAFT’s Education program – creatively repurposing materials donated by local businesses into pre-packaged Activity Kits that facilitate hands-on learning of Math and Science. RAFT’s mission is to transform teaching by creating engaging hands-on educational activities that inspire the joy and discovery of learning. RAFT works with more than 10,000 educators in the classroom, home-school settings and, after-school and community based programs. RAFT‘s products (Idea Sheets and Activity Kits), professional development services including mentoring and educational workshops, and low-cost teaching supplies enrich and improve the education of over 825,000 young people each year. RAFT Activity Kits are based on over 650 curriculum-aligned RAFT Idea Sheets that cover a range of grade levels and subjects. 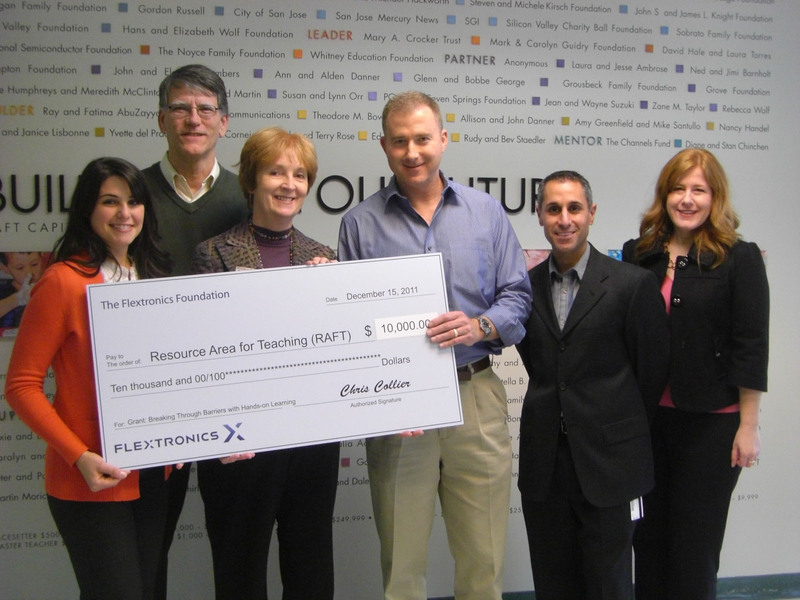 The Flextronics Foundation has awarded a total of $25,000 in grants to RAFT since 2008. “Education is one of our primary funding initiatives because it has such a significant, residual impact on our communities, both locally and worldwide. We fully support the work RAFT does toward Science and Math education, and we are proud to support such an important cause,” says Thomas Ezrin, Senior Vice President, human resources at Flextronics. The Flextronics Foundation supports a range of community development efforts including initiatives that improve education. The Foundation was established in 2002 and serves as a catalyst for positive change in communities around the world. 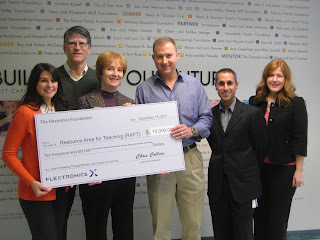 Click here for more information on Flextronics Foundation.